Consignment stores sell products from individual owners, taking a portion of the proceeds from the sale. Clothing, antiques, electronics, decorations, tools, furniture, sports equipment and toys are popular items for consignment stores. For many sellers, this reduces start up costs, because you do not have to pay for goods upfront. It's a good idea to pick a limited number of things that you are interested in selling and set up a store in a prime retail location for that product. Successful consignment sellers must be research savvy, shrewd with finances and excellent record keepers. 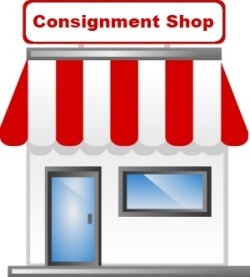 Learn how to run a successful consignment store. 1. Have a passion for the product. Consignment stores require more research, bookkeeping and quality control than many retail stores. You should enjoy studying the product that you choose to consign. 2. Choose your location. Picking a place that has a large amount of foot traffic, parking and the right demographic that you want to sell to, will have a huge hand in making your store a success. Scout out possible locations. 3. Research the market where you would like to start a store. Visit other thrift, pawn, retail and consignment shops in the area to figure out your market. Take notes of prices, marketing and types of customers that visit these stores. For example, deduce if a store location will attract young professionals, college students, high school students, families, retirees or another demographic. This will set how you decorate and stock your consignment store. 4. Write a business plan. Write a document that includes your consignment rate, management plan, financial plan and marketing plan for at least the next five years. You will need this document in order to get funding and follow a successful model. Ask a friend or family member who is a successful businessperson to look at your business plan. They can tell you what areas need more planning and whether the current business structure is likely to follow a successful path. 5. Calculate your start up costs. You will need a store and/or lease, cash box or cash register, racks, display cases, display tables, decorations, bookkeeping supplies, price tags, marketing materials, merchandise and money for electricity, phone and possibly a website. As with any business, it is an excellent idea to have six months of living and business expenses saved up before starting. Since there are many unforeseen problems that can occur with starting any business, you should ensure that you are financially secure before beginning this endeavor. 6. Seek financial support. If you do not have enough money to cover the start up costs, then you should take your business plan to a bank or investor to get a loan. If you only need a few hundred or a few thousand dollars, you may find a friend or family member that is interested in investing; otherwise you may need to visit a number of banks and credit unions in order to get the best rate.